Hughes Waste Ltd - Hire Services, Rubbish/Waste/Clearance based in Portsmouth, Hampshire. Invoice history based on 347 reviews. 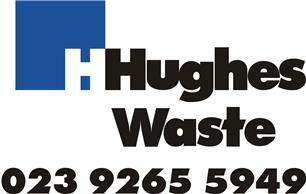 Hughes Waste Ltd is a privately owned company with a fully licensed waste transfer and recycling facility. With over 25 years experience our business provides a full range of Demolition, Grab Bags, Skips, Roll-on Roll-off Containers, and Tipper Lorry Services. Operating from our waste processing centre in Hilsea, Portsmouth, we offer a complete domestic and commercial waste management and recycling service to customers in Portsmouth and the surrounding areas. To find out how to book the services you require telephone our sales team on 02392 655949.